Testosterone is a very important hormone for women, effecting sexual health, physical health and emotional/mental health. Although testosterone is primarily known as a male hormone, women need a small amount to be balanced in their blood stream for their bodies and minds to work optimally. As women age, just like men, their testosterone levels deplete and they will begin to notice changes in their appearance and in how they feel, according to the literature. The effects of a lack of the appropriate amount of testosterone on women’s health can be mild or very severe depending upon the woman and her genetic make-up. An article from Harvard Medical School shared that women with low testosterone levels (or low T) may experience a low sexual libido, weaker muscles, poor bone mineral density and mood instability. There are also other symptoms that are associated with low T and this is why women may take part in testosterone therapy. Experts say that testosterone helps women to feel stronger physically, sexually, mentally and emotionally. When clinically low testosterone levels are increased and balanced, this can help with menopausal symptoms. Many women have an easy time going through the changes that occur in the body during menopause, but other women have a devastatingly difficult time. This is when testosterone replacement therapy (TRT) can help them. Testosterone replacement for women can bring their low testosterone levels back to where they should be for each individual woman’s needs. TRT should be prescribed by a licensed doctor, medically supervised and clearly unique for each different woman and her individual needs. The approximate range for testosterone levels in females over 30 should be between 30 – 95 ng/dL, according to the National Institutes of Health. According to the University of Rochester, testosterone levels in women over 30, testosterone levels in women over 40 and testosterone levels in women over 50 will all be in the same range of approximately 15 to 70 ng/dL. This proves that varying sources will have different levels that they deem to be “normal” for women. Of course, older women will tend to fall on the lower end of any range and younger women will usually be higher on that range, but that is not necessarily always true. Below is a chart of different sources that claim varying ranges of what is considered to be “normal” for testosterone levels for women. What are considered to be “normal” ranges for testosterone in women? In order to reap in the benefits of testosterone, women must make sure that they are using the exact amount of medication that has been prescribed by her doctor. The chief researcher of reproductive endocrinology and infertility at the University of Chicago says that if a woman takes even a tiny bit too much testosterone during TRT, she could be facing pretty awful side effects. All three of the above listed items must be followed for a woman to have safe and effective results from TRT without any negative side effects. Women take a jelly, cream or gel because they need far less medication than a man does and this is the best way to control that small dosage. Dosing for women by her doctor must be extremely precise. The ovaries are where testosterone is mostly produced in the female body. Things such as has the woman had a hysterectomy, are her adrenal glands (where some testosterone is also manufactured) working correctly, does she have good heart health and overall health as well will affect a woman’s risk for developing a testosterone deficiency. Does the woman live a healthy and active lifestyle? Women are more likely to develop a testosterone deficiency is they do not exercise, eat unhealthy amounts and skip all food groups and if they are considered to be malnourished. If the woman smokes, drinks heavily and has very high stress level, she may be more apt to develop low T. Lastly, if the woman does not get enough sleep at night, this can impact her health. These lifestyle habits will definitely have an effect on women’s testosterone levels. A woman’s body composition will play a part in her testosterone deficiency risk. Is the woman at a healthy weight (not too thin or too heavy)? Does the woman have a “normal” BMI, fat mass amount and lean body mass amount? The answers to these questions will help to determine if a female will be at risk for low T.
We can see how there are many factors that go into what does testosterone do for women of all shapes, sizes and body types. Additionally, asking if these women live a healthy lifestyle free from smoking, heavy drinking, poor eating, not exercising and not sleeping will give more insight into their risk for a testosterone deficiency. 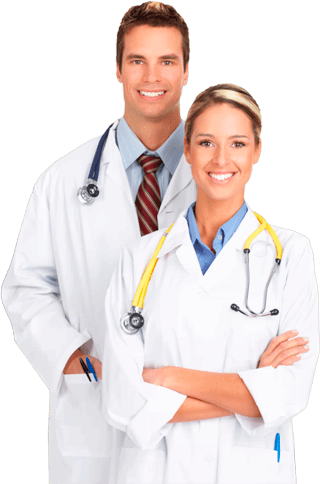 For more information about what is testosterone for women and how does testosterone replacement therapy help women in need, please reach out and contact us. 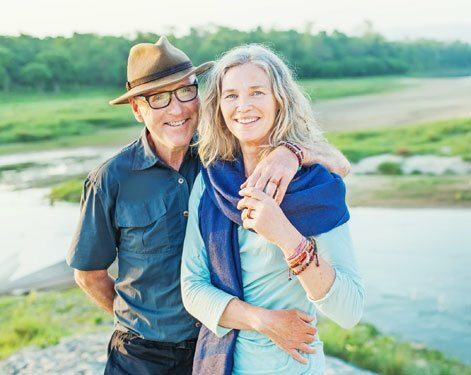 Our clinical advisors are waiting to educate you about TRT and how it might be able to free you from the symptoms you are experiencing as your hormone levels get lower due to aging. Fill out our online contact form on this page and get started for free.